Massachusetts has been at the forefront of marijuana reform for decades. The Boston Freedom Rally, for example, attracts thousands of people every year and is the second-largest marijuana reform event in the country. Now, with the availability of recreational marijuana on the horizon, there are big legal changes and countless question marks in store as well. Many residents may not know the rules regarding legal marijuana use or understand how legalization might impact communities and public safety. With the dawn of recreational marijuana in Massachusetts come questions about how it may impact public safety. Sales of recreational marijuana in Massachusetts will begin this July. Even though individuals age 21 and older can carry up to 1 ounce of pot, no one is permitted to smoke marijuana or consume marijuana products in a public place. Violators will be fined $100. Legal marijuana use is permitted only on private property and should not be observable from public view. In Boston specifically, you can’t smoke tobacco or marijuana in public parks or workplaces, including bars and restaurants. Apartment and condominium buildings may have their own smoke-free policies that apply to tobacco and marijuana alike. So-called “cannabis cafes” and other business ventures where people can buy and consume marijuana on the spot are being proposed in Massachusetts. The Cannabis Control Commission supports a license for on-site consumption, but Gov. Charlie Baker and law enforcement officials oppose the idea—Massachusetts would be the first state to issue such licenses. Can I Smoke Marijuana in My Car? Smoking marijuana in your car is illegal, and violators face steep fines and other penalties. Your car may be private property, but smoking marijuana in your car is like having an open container of alcohol in your car—it’s illegal and carries a civil penalty of up to $500. And, as noted above, it is dangerous to yourself and other drivers. Operating a vehicle under the influence (OUI) of marijuana is a misdemeanor for first-time offenders but can become a felony charge for subsequent offenses and may result in license suspension, steep fines, and jail time. Massachusetts has laws regulating the safe transportation or marijuana and cannabis products: All marijuana must be kept in a sealed container during transport; if the seal is broken, marijuana must be kept in a car’s locked glove box or trunk. 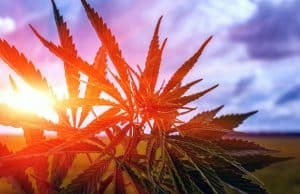 A previous Massachusetts court case has confirmed the “mere odor of burnt marijuana is insufficient cause to stop a motor vehicle.” In other words, drivers can safely and legally move marijuana so long as it remains in the original, unopened container, or locked up while the vehicle is underway. What if I’m Hurt in an Accident with a Stoned Driver? 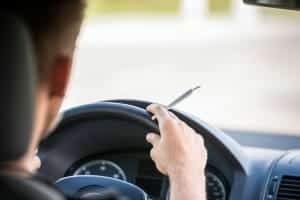 A stoned driver who causes an accident could face criminal charges and be held financially liable for damages. If you’re involved in a crash caused by a driver you suspect may have been smoking marijuana, report the collision to law enforcement immediately. If a driver under the influence of marijuana causes an accident, he or she could be held financially responsible for damages. Depending on the circumstances, he or she could also face additional criminal charges. And because Massachusetts is a no-fault state when it comes to traffic accidents, it’s important to collect evidence and assemble the facts as soon as possible. It’s also a good idea to consult with an experienced car accident lawyer before accepting a settlement offer from the insurance company. At Jason Stone Injury Lawyers, our attorneys understand the immediate and long-term medical costs associated with crash injuries, and we have extensive experience in cases that involve dangerous driving behaviors including driving under the influence and distracted driving. Call us today at 800-577-5188 to schedule your free consultation if you or a loved one is injured in a crash caused by a stoned driver. Help yourself and others stay safe in Boston! Follow Jason Stone Injury Lawyers on Twitter or “like” us on Facebook.